Aashiq Abu malayalam film director profile and biography is given here. Aashiq is the upcoming movie director in the Malayalam movie industry. Some of the movies directed by him became the trend setters in the industry. They include "Salt N' Pepper" and "22 Female Kottayam". For directing these movies, he got the award for the Best Director. Despite of getting accolades, he was often criticized for the striking similarities of his films with the blockbuster movies of Hollywood. Aashiq Abu is a reputed film director and producer in the Malayalam film industry. He has also made advertisement films for different companies in the past. He rose to the fame with the success of the movie titled Salt N' Pepper in the box office. He came to the field of the direction after having worked with reputed Kamal as an assistant director for about 5 years. After gaining required experience in this field, he directed a film called Daddy Cool for the first time in the year 2009. After successfully directing his maiden movie, he refined his skills in the art of direction and directed his second movie Salt N' Pepper. 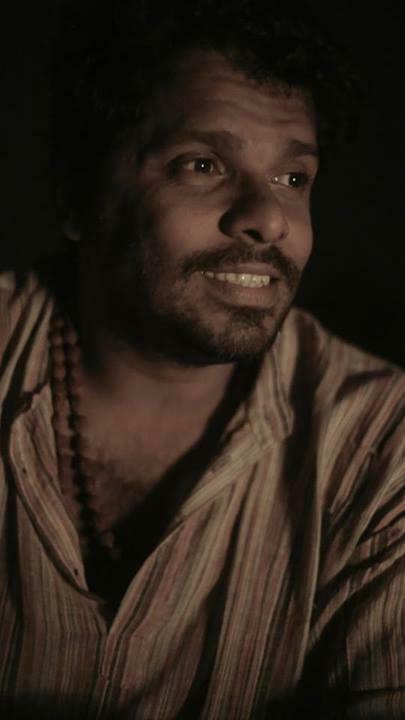 Aashiq Abu had also done a short film titled Lost in Bangalore for the reputed client Mathrubhumi. Aashiq Abu was born on April 12, 1978 in a place called Edappally in Ernakulum district of central Kerala. His parents were C. M. Abu and Jameela Abu. He did his schooling from S.R.V High School in the city of Cochin. When he was doing a pre-degree course in the Maharaja's College in Cochin, he was elected to its Student's Union. Since he did a good job as a student leader in the college and continued his studies in the college, he was elected to the union for four years, consecutively. Recently, she got married to the famous Malayalam film actress Rima Kallingal in a simple function at the Kakkanadu Registration Office premises in Cochin. After their marriage, they gave the fund equivalent to their marriage expenses to a charity home in Cochin. For their wonderful and novel gesture, they were appreciated by the people from all walks of life in the state. Before foraying into the field of movie making, he was involved in making of the advertisements. He was involved in the making of advertisements for many reputed businesses in the state. They include Joyalukkas group, Mathrubhumi group, Panasonic, Lulu group, the Dubai Gold and Jewelry group, Media One TV, and Club 7 FM. All these ventures in the field of advertisement and marketing were meticulously planned and executed. Hence, he could match the requirements of his clients well. By 2012, he could get a long list of clientele. So, he decided to float a new organization exclusively for advertisement. With this in view, he launched with the help of others an advertisement firm by the name OPen your Mouth (OPM). Aashiq Abu forayed into the film world by assisting noted Film director Kamal in directing films. He continued to provide his services as an assistant director to Kamal for about five years. During these five years, he acquired the basic skills of film direction from the Kamal himself. After getting proper exposure in film direction, he made his directorial debut with the movie Daddy Cool. Though the movie did not do well in the state, he gained the required confidence to direct more films with his resources. His second directorial venture was Salt N' Pepper. This film made a huge movement in the box office, and he became the cynosure of the general public and the artists of the industry. This film was regarded as a trend-setter in the Malayalam movie industry. The movement made by this film in the box office was noticed by people from other language film directors in South India. As a result, an agreement was made to remake the film in languages such as Tamil, Telugu and Hindi. The copyrights for the remake of the film in other languages were brought by noted actor-director Prakash Raj. After the success of this movie, he decided to take a break and do some research to come back with a good theme for his next movie. Accordingly, he made a successful comeback with the movie "22 Female Kottayam". In this film, the noted actors like Rima Kallingal and Fahad Fazil enacted their roles. Subsequently, he did another movie in the same year. This film was Da Thadiya. In this film, he did the experimentation with newcomers in the cinema field. Both the films did a good job in the industry. The Malayalam movie director also has done a short film titled Lost in Bangalore for Mathrubhumi group. In this film, he dared to field new faces in lead roles. Many of his new films were released in the year 2013. They include Annayum Rasoolum, 5 Sundarikal, and Idukki Gold. His latest film is 5 Sundarikal, which featured Kavya Madhavan and Biju Menon in lead roles. He has got a couple of projects up his sleeves. Both these projects are still in the formative stage. They include "The Gangster" and "Kodungattu". The shooting of the former is supposed to begin towards the end of 2013. The shooting date for the latter is yet to be announced. In "The Gangster", the actors such as Mammootty, Fahad Fazil, Meera Jasmine, Prathap Pothan, Babu Antony and Raveendran are supposed to enact their role. The second upcoming film Kodungattu will have Mohanlal in the lead role. Though he could make some movement in the box office, his movies were criticized for their similarity with some of the blockbuster Hollywood movies. The critics were of the opinion that he copied the scenes from the Hollywood movies while making his movies. A review by a film critic in the Hindu newspaper on the film Idukki Gold stated that the director seemed to have borrowed heavily from the foreign movie director Quentin Tarantio. According to that article, Aashiq Abu had borrowed the methods of titling and segmenting, and visual effects from this accomplished foreign movie director. The article further stated that the director could not manage to get these things right to replicate the punches the master film maker made in his movies. Though Aashiq Abu got an independent existence in the Malayalam cine field as an independent director only recently, he could create movement in the industry with the making of two landmark movies. These films are "Salt N' Pepper" and "22 Female Kottayam". When he came out with the movie Da Thadiya, he could take the audience in the hands. For his effort in this film with newcomers, he got words of appreciation from both general public and cinema critics. Following are lists of awards and citations he could get for his films. Salt N' Pepper fetched him Best Director and Popular Director Awards. Salt N' Pepper got Asianet, Vanitha, Surya and Mathrubhumi awards in the year 2011. The same film got the Kerala State Award for the Best Popular Film. Aashiq Abu got Mohan Raghavan Award for the Best Director in 2012. This award was received by him for his work on the movie "22 Female Kottayam". Aashiq Abu is an upcoming movie director in Malayalam film industry. Before his entry into the field of film making, he was involved in making advertisement campaigns for noted business groups in the state. When he forayed into the movie field, he continued his work in advertisement making and established an advertisement firm OPen your Mouth. Aashiq Abu started his career in the movie industry as an assistant director. When he was working as an assistant director, he was under the guidance of noted movie director Kamal. He made his directorial debut with the release of the film Daddy Cool. The other films directed by him include "Salt N' Pepper", "Da Thadiya", "Annayum Rasoolum", "22 Female Kottayam", "5 Sundarikal", and "Idukki Gold". Amongst these films, the films such as Salt N' Pepper, No.22 Female Kottayam and Da Thadiya were huge commercial hits in the market. For these films, he got the Kerala State Award for the Best Director and other awards. Recently, he got married to the noted film actress Rima Kallingal in a simple ceremony at Cochin, the commercial capital of the Kerala state.